(WEBPUBLICAPRESS) NEW YORK – Moscow has vowed to restart the development of medium-range nuclear missiles as it mirrors Washington’s decision to withdraw from the 1987 arms control agreement. The split has the potential to incite a new arms race., Deutsche Welle (DW) has reported. Russia will withdraw from the Intermediate-Range Nuclear Forces (INF) Treaty, President Vladimir Putin said on Saturday, a day after the United States announced a similar move. 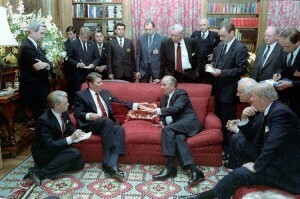 The decision follows nearly a decade of both Washington and Moscow accusing the other of violations of the Reagan-Gorbachev-era arms control treaty. “Our American partners have announced they are suspending their participation in the deal, and we are also suspending our participation,” Putin said, following a US deadline for Moscow’s compliance. 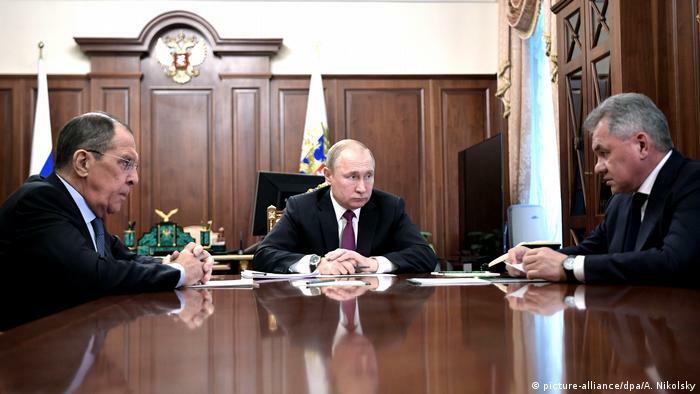 During a televised meeting with his foreign and defense ministers, Putin said Russia would, for now, not initiate talks with the US on disarmament. Putin added that Russia would now begin work on developing new medium-range missiles, but would only deploy them if Washington does so. “At the same time, we do not want to be drawn into an expensive arms race,” he added. The US would develop “military response options” and work with its NATO allies “to deny Russia any military advantage from its unlawful conduct,” it added, without elaborating. 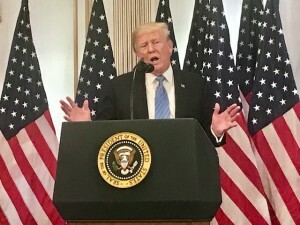 US President Donald Trump told reporters earlier on Friday that he was interested in holding talks to create a new arms control treaty. “I hope that we’re able to get everybody in a big and beautiful room and do a new treaty that would be much better,” he said, without elaborating. Moscow, meanwhile, insists it is not in violation of the deal and has countered that the US breached the terms with its own missile deployment in Europe. It said Washington has made false accusations to justify its withdrawal and step up the development of its own new missiles. Russian Foreign Minister Sergey Lavrov, at the meeting with Putin on Saturday, insisted the Kremlin had done everything in its power to save the treaty and had sought dialogue with the US several times. “The Americans have lost all interest,” he said. and China. European nations are concerned the treaty’s collapse could lead to a new arms race with possibly a new generation of US nuclear missiles stationed on the continent. Russia, last year, unveiled an array of new nuclear weapons, including the Avangard hypersonic glide vehicle and the Poseidon underwater nuclear-powered drone, which Putin said can’t be intercepted. The drone is designed to carry a heavy nuclear weapon that could cause a devastating tsunami wave. Last year, the Pentagon revealed stepped up efforts to replace its aging nuclear arsenal, adding low-yield (less powerful) weapons to its submarine-launched cruise missile line-up, and new stealth bombers and fighter jets. According to the New York Times, Washington plans to spend more than $1.2 trillion (€1.05 trillion) over the next three decades on improving its nuclear weaponry. China, meanwhile, urged Washington to resolve its differences with Russia through dialogue.